Hello lovelies! The Makeup Examiner hopes that everyone enjoyed the Fourth of July festivities and that you’re enjoying a long holiday weekend. Before TME wanders off to enjoy more of our Independence Day celebrations, she wanted to share with her readers the trifecta treasure of Eco-Armour. As The Makeup Examiner has previously written, she’s always on the hunt for products that hit the beauty product trifecta of organic, cruelty-free and eco-friendly. Often found are products that hit one-of-three. Imagine her delight when she found two quadruple-duty products that hit the beauty trifecta and are wallet-friendly. Score! Eco-Amour was found by Robert and Zoe Benzinger in 2011, and their back story is rather interesting so check in with The Makeup Examiner to read an interview about this dynamic couple. Now … to the products! Eco-Armour Shaving Foam was a featured product in Yuzen Box Father’s Day Edition and has been a staple in spas on the East Coast. 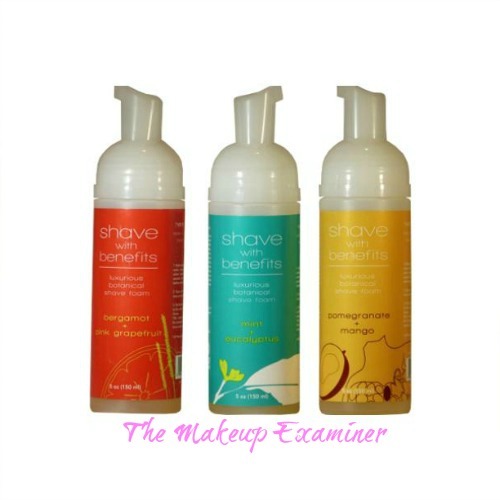 The Makeup Examiner was sent the Eco-Armour Triple Pack Shaving Foam (5oz each $19 set of 3 $48) and Botanical Insect Repellent and Moisturizer (4oz $12.50). The Eco-Armour Triple Pack Shaving Foam contains each of Eco-Armour’s three scent formulations of shaving foam, which are Bergamot + Pink Grapefruit; Mint + Eucalyptus; Pomegranate + Mango. Each scent is formulated for more than just a desire for a particular scent. Bergamot + Pink Grapefruit is soothing and gentle for sensitive skin, Mint + Eucalyptus is invigorating and cleansing for problem skin, and Pomegranate + Mango is calming and moisturizing for dry skin. Do they give a great shave? Yes. And they are not a “women’s-only” product. Eco-Armour’s Shaving Foam scents are appealing to both men and women. The light foam formula is gentle enough for the bikini area, yet effective for men. The foams are formulated to extend the life of a blade, can be used as body wash and The Makeup Examiner has been using the Bergamot + Pink Grapefruit as a face wash for several weeks with wonderful results. With four separate uses, Eco-Amour’s Shaving Foam should be called wonder foam! Extending the life of your razor and multi-use, makes this product both eco and wallet-friendly. Moving onto Eco-Armour Botanical Insect Repellent and Moisturizer. The Makeup Examiner put this to the test, on the Fourth, when festivities were outdoors and the bugs were abundant. Many repellents have an overwhelming scent; this is not the case with Eco-Armour’s Botanical Insect Repellent and Moisturizer. The light lemony scent is lovely and the product absolutely keeps the bugs away … but not the boyfriend! It is safe for adults and kids, and is biodegradable (as is the shaving foam). The Botanical Insect Repellent and Moisturizer can be used as just a moisturizer, which is why The Makeup Examiner pointed out the light scent. It is also effect as an after-sun care product. 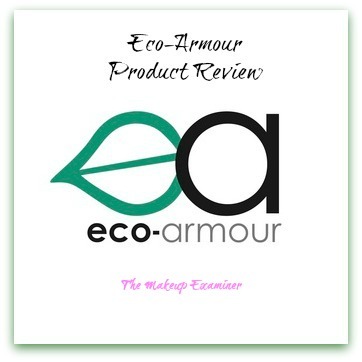 If you’re seeking products that are organic, vegan and eco-friendly plus are multi-purpose, The Makeup Examiner highly recommends checking out Eco-Armour. Eco-Armour is a member of 1% for the Planet and their products can be found on the Eco-Armour website. Insider Beauty News: Eco-Armour will be launching an after-shave serum and a lavender mist in Fall 2013.